William Barratt was born in Wolverhampton in 1892, the son of John and Mary Marratt. In 1901 they were living at 19 Wright Street, together with William’s brothers, Arthur and Joseph, and sister Elsie. William Barratt enlisted with the South Staffordshire Regiment (number 31533). On 12 September 1917 he appeared in the Express & Star amongst a list of local men who had been wounded. However, he survived the war, and went on to marry Alice Southall in 1923. The couple had two children, Annie and Ronald, in 1924 and 1940. William died in 1960 at the age of 68. John Davies was born in Heath Town, Wolverhampton in 1891, the son of Josiah and Sarah Davies. In 1901 they were living at 200 Coleman Street, together with John’s brothers George, James, Josiah and William, and sisters Florrie and Sarah. There are a number of possible marriages for him. John enlisted with the Grenadier Guards (number 28055). On 12 September 1917 he was listed in the Express & Star amongst the local men who had been wounded. However, he appears to have survived the war. He died in 1923 at the age of 32, although it is unclear what he died from at such a young age. Reginald Browning was born in Didmarton, Gloucestershire, in 1888. By 1901, the family had moved to Wolverhampton and were living at 73 Bright Street. Reginald was living with his parents, Frederick and Emily Browning, brother Herbert, and a boarder, William T. Shepherd. Reginald enlisted in the 2nd Battalion of the Cameronians (Scottish Rifles) (number 41027). Unfortunately, he died on 17 August 1917 at the age of 29. He is commemorated at the Tyne Cot Memorial in Belgium, as well as at St Peter’s Church in the Lady Chapel. Sarah Barker was born in Wolverhampton in 1870, the daughter of John and Sarah Barker. By 1891, she was living at 11 Snow Hill with her parents, brothers William, Frederick and Ernest, sisters Florence, Grace and Ethel, and servant Elizabeth Yates. She was listed as a school mistress. By 1901 the family were at 143 Penn Road. Sarah appears alongside her mother Sarah Barker, sisters Mary, Gradce and Ethel, brother William and servants Edith Restance and Martine Cambridge. She is at the same address in 1911 (the house now being known as “Hillside”), along with her mother Sarah Barker, sisters Mary, Grace and Ethel Barker, and servants Alice Greensill and Lucy Matthews. By this date, Sarah has become a housekeeper. [crossed out: General nursing with Lampton Gen. Hosp. 1 mth 4 hrs per day. Sandon Hall. Night nurse 1 mth 11 1/2 hrs per day] Ingham Hosp: head cook. 4 mths 9 hrs per day. Mayfield Hosp: Woolston. Head cook 1 mth. Surgery nurse 2 mths. Mayfield & Bitterne Hosp: Superintendent of Kitchen 3 mths, 8 hrs per day. With the exception of the last engagement all work has been voluntary. [crossed out: Nursing in Gen. Hosp. W’hampton in the yr 1915 80 hrs] [crossed out: As Night nurse, Sandon Hall, in the yr 1916 322 hrs] As Head Cook, Ingham Hosp. Feb, March, April, May 1917. 1008 hrs As Surgery Nurse, & Cook at Mayfield June-Sept 1917. 672 hrs As Superintendent of Kitchen Mayfield June-Sept 1918. 672 hrs As Quartermaster, Longfield Hosp, Nov Dec 1918, Jan, Feb, March, April 1919. 1472 hrs [Total] 4226 hrs. Sarah appears to have never married, and died in 1942. Leonard Brown was born in Wolverhampton in 1896, the son of William and Annie Brown. In 1901 they were living at 59 Sweetman Street, together with Leonard’s brother, William and sister, Nancy. Leonard enlisted as a Gunner with the Royal Field Artillery (number 800478). On 14 April 1917, he was listed in the Express & Star among the local Midlands men who had been reported as wounded. However, he survived the war and married Laura Bentley in 1921. They had a daughter, Beryl, in 1923. Leonard died in 1956 at the age of 59. 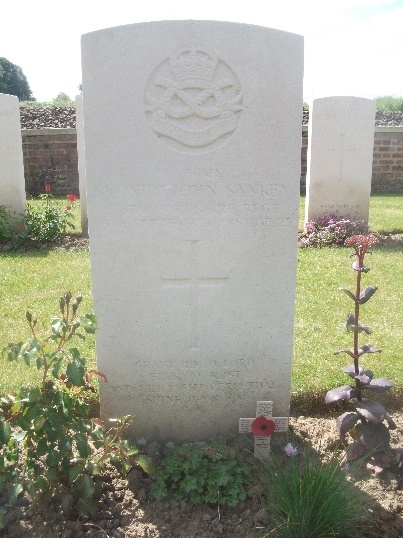 This post has been prepared by one of our volunteers, Ann Williams, to commemorate the anniversary of the death of Sydney John Sankey on this day, 100 years ago today. 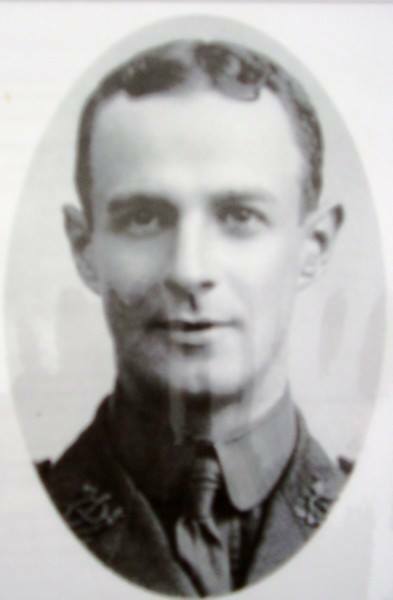 Captain Sydney John Sankey, an acting captain in the 6th South Staffs, was killed in action at 4:30 on the morning of 25 September 1915. Sydney was the eldest child of Elizabeth Sankey and the late John William Sankey, who died in 1913, of Hunley Lodge, Penn Fields. He was a director of Joseph Sankey and Sons Ltd, the well known company based in Bilston which was sold in 1920 to GKN, one of their sites was on the land now occupied by Morrisons supermarket in Bilston. Sydney was one of sixty nine employees of Joseph Sankey and Sons Ltd. who were killed during the war and he is remembered on a plaque in St. Leonards Church, Bilston. Sydney joined the Territorial Army in 1911 and he was in trench 37 at Hill 60, having been made an acting captain due to the normal captain Billy Lewis being on leave. Sydney looked over the parapet for a sign of the patrol returning that he had sent out earlier as he was concerned over a new officer he had sent out. This quick glance over the parapet resulted in him being shot in the head and he fell backwards into the trench. He was taken to the Lane’s dugout but nothing could be done for him and he was subsequently buried that afternoon in Larch Wood Cemetery, he was 25. He was well thought of by his fellow soldiers according to diary extracts and he was thought of as being bright, full of ability, dependable and a quiet young man. His death was such a tragedy as he was preparing to go on a ten days’ leave to be able to go home and marry. Sydney is on the medal rolls and received the Victory, British and 1915 Star, he is on page 43 and page 11 of the medal roll. His grave reference is I.L.3. and he is in Larch Wood Cemetery in Ypres. A picture of which is below. Both the Express and Star and the Chronicle mention his death, other information has been obtained from research into the battalion. Frederick Noble was born in Wolverhampton in 1897, the son of George and Florence Noble. In 1901 they were living at 33A Horseley Fields, together with Florence’s sister, Alice Holden. His parents were the proprietors of the Star Hotel. George Noble died in 1907 at the age of 33, with his wife, Florence, dying in 1915 at the age of 43. In February 1915 he joined the 1st Battalion of the Duke of Cornwall’s Light Infantry, being on active service from June 1915. He was wounded in July 1916, after which he was promoted to Lance Corporal. Frederick himself was killed in action on 23 April 1917. This was reported in the Express & Star on 21 May 1917, and he was also listed as having been killed on 29 May 1917. He is comemmorated at the Delville Wood Cemetery, Longueval, France. Edwin Joseph Evans was born in Wolverhampton in 1898, the son of Edwin and Clara Evans. In 1901 they were living at 54 Bank Street, Heath Town, and Edwin and his parents were joined by his brothers Harry and John, and sister Esther. Edwin enlisted with the South Staffordshire Regiment (number 30610). On 28 May 1917, his name appeared in the Express & Star (mistakenly as “J. E. Evans”) under the list of local Midland Men who were wounded. However, he appears to have survived, as he does not appear on the Commonwealth War Graves Commission website as having died. There are various possible marriages for him. He died in Wolverhampton in 1957 at the age of 59. Walter Jackson was born in Wolverhampton in 1896, the son of Walter John and Annie Jackson. In 1901 they were living at 10 Prole Street, together with Walter’s brothers Ferron Bullimore, Stanley and Theophilus, and sister Nell Isabel. Walter enlisted with the 8th Battalion of the South Staffordshire Regiment (number 19181). He was killed on 23 April 1917, which was recorded in the Express & Star on 28 May 1917. He is commemorated at the Arras Memorial in France. Harold Falconbridge was born in Wigan on 19 September 1896, the son of Frederick William and Florence Falconbridge (nee Watkins). In 1901 the family appeared at 122 Barrack Cottages in Westfield, Battle, Sussex, together with Harold’s sister, Doris. By 1911 they had moved to 35 Cardiff Street, Wolverhampton. By this date, Harold had an additional brother Gilbert and three sisters, Marion, Rosabella and Frances. Harold enlisted with the 2nd Battalion of the South Wales Borderers (number 24746), and served in the Balkans from 21 July 1915 onwards. Harold was wounded and sent back to England, only to die of his wounds on 28 August 1917. He is buried at Wolverhampton Borough Cemetery and is commemorated at Beckminster Methodist Church, Penn Fields, as well as on the memorial for St Chad and St Mark Church.